Thank you in advance for taking the time to look over this information and showing interest in supporting Frederick National Little League. FNLL is going into its 68th season here in downtown Frederick and we are looking forward to an exciting year of true little league ball playing! Our players are more than players to us and to each other, they are friends, they are family; and we are looking forward to celebrating that bond with them for another great season. Little League is only as strong in its community as the generosity of the families and companies who support them. Sponsors of Frederick National Little League should be motivated by the objective of making a community contribution and for enriching the lives of young players in that community. We recognize that there are mutually significant benefits to be derived from sponsorship arrangements with businesses in our community and it should be understood that sponsorships are vital in the leagues efforts to raise funds for operations. This is where we ask for your help. Please take some time to look over the sponsorship opportunities on these next few pages. I am confident that you will be able to find a package that would work and be beneficial to you. Are consistent with the core values of the Little League program and must clearly benefit the league. Provides savings, discounts or benefits, which are tangible, ethical and are targeted at goods and services, which are needed by the league. The benefits of the sponsorship must go directly to the league. Frederick National Little League officers must not take or seek to take advantage their position in order to obtain personal benefits. Sponsorship, however, does not give the local sponsor any rights in the operation of the league. Nor does it give the local sponsor any rights to use the Little League marks. If I can be of any assistance in making decisions, please feel free to contact me at 301-514-3606. Again, thank you for your consideration.  We look forward to partnering with you to help our players and our league grow and expand. External links are provided for reference purposes. Frederick National Little League is not responsible for the content of external Internet sites.